Altice France announced an exclusivity agreement with Allianz Capital Partners, AXA Investment Managers, and OMERS Infrastructure for the sale of a minority equity stake of 49.99% in SFR FTTH for a total cash consideration of €1.8 billion based on a €3.6 billion1 equity value. SFR FTTH is the largest alternative FTTH infrastructure wholesale operator in France. The company anticipates passing 5 million homes over the next few years, including 1 million homes built by year-end. The company will offer wholesale services to all operators at the same terms and conditions including SFR as a customer with no minimum volume commitments. Patrick Drahi, the founder of Altice, said: “I am very pleased that three of the most renowned infrastructure investors in the world are becoming our partners and committing large resources to build the leading FTTH wholesaler in Europe. "With this transformational transaction and the various tower sales and partnerships announced earlier this year, Altice Europe has been able to crystallize €8 billion of infrastructure value and obtain cash proceeds of €4 billion in total in a few months. Through these transactions, Altice France and Altice Europe will deleverage and will have access to new and cheaper liquidity to invest in its fibre infrastructure." Interxion officially opened the first phase of MRS2, Interxion’s second data center in Marseille, which has become the Mediterranean capital for telecoms, cloud and digital exchanges. Its geographical position as the landing point for 13 submarine telecommunications cables is a significant advantage. The new facility will help meet the growing demand from international connectivity and content providers, and cloud platforms wanting to use Marseille as a hub to deliver their services and applications to Europe and further afield to Africa, the Middle East and Asia. MRS2 is located in re-furbished, former naval workshops at the Marseille Fos Port. It will be built in three phases which will offer customers 4,400 sqm of equippable space with over 7MW of available power. The first phase, which is now completed, consists of 700 sqm of equipable space, while the second will offer 1,900 sqm from the second quarter of 2019. The capital expenditure associated with the construction of MRS2 as a whole is expected to be approximately €76 million. SFR, in conjunction with Nokia, tested a 3GPP-compliant 5G New Radio (NR) system over-the-air on the 3.5GHz frequency band. The test took place at the Nokia 5G Test Network and Competence Center in Paris-Saclay, France. The 5G call used Nokia's 5G-ready AirScale radio platform and Cloud RAN technology together with 3GPP-compliant end user test devices. 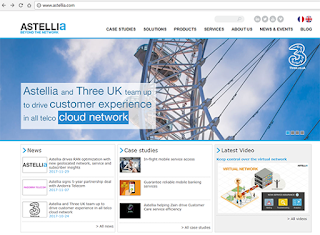 A cloud infrastructure based on the Nokia AirFrame Datacenter solution was built to support Cloud RAN. François Vincent, head of Mobile Network at SFR, said: "SFR is developing a roadmap for the evolution of its networks that takes into account the benefits and complexity of implementing 5G. The joint projects and trials will enable us to meet future data demand in the most effective way, while exploring new ways to deliver our media content that will increase the subscriber experience." 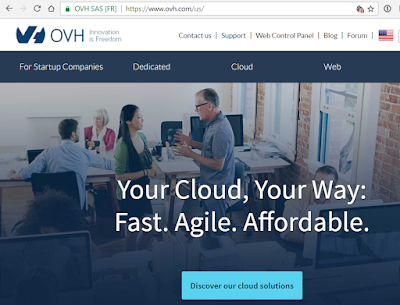 Orange Business Services agreed to Enovacom, a software developer based in Marseille and dedicated to e-health. Financial terms were not disclosed. Enovacom's software suite facilitates the exchange, sharing and security of data between all players in the healthcare system. Its solutions are found in over 1 500 healthcare institutions in France and abroad. In particular, Enovacom software is used to manage and secure hospitals’ electronic exchanges with their various partners. 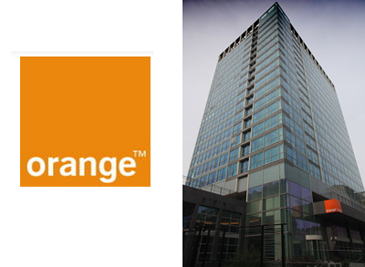 Enovacom will become part of Orange Healthcare. Roughly 18 months after acquiring Cablevision Systems, the leading MSO in the NY metro region in a deal valued at $17.7 billion at the time, Altice N.V. announced a corporate restructuring centered on the separation of Altice USA from Altice Europe. 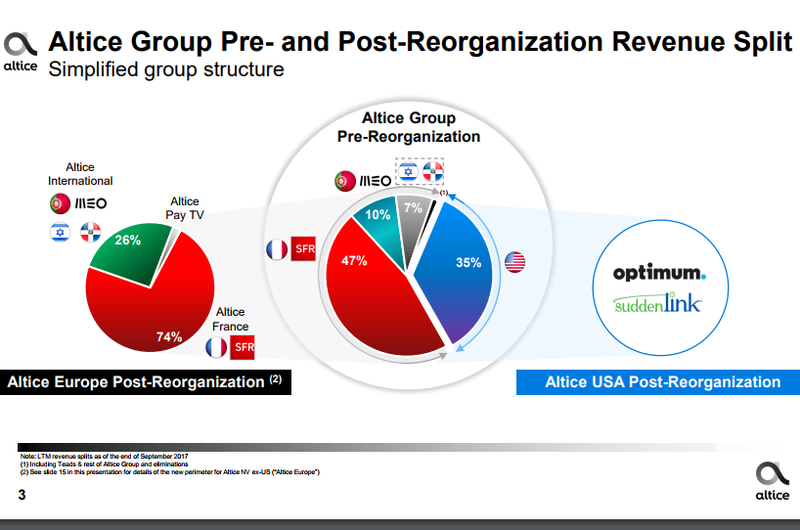 The separation is to be effected by a spin-off of Altice NV’s 67.2% interest in Altice USA through a distribution in kind to Altice NV shareholders. 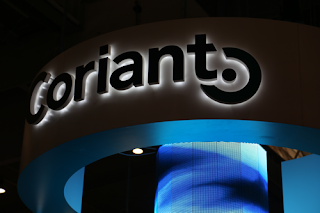 Following the spinoff, the two companies will be led by separate management teams. Patrick Drahi, founder of Altice, will retain control of both companies through Next2 and will serve as President of the Board of Altice Europe and Chairman of the Board of Altice USA. 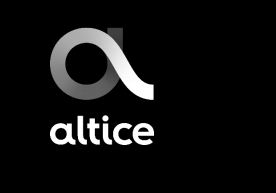 In addition, Altice Europe will reorganize its structure comprising Altice France (including French Overseas Territories), Altice International and a newly formed Altice Pay TV subsidiary. “The separation will allow both Altice Europe and Altice USA to focus on their respective operations and execute against their strategies, deliver value for shareholders, and realize their full potential. Both operations will have the fundamental Altice Model at their heart through my close personal involvement as well as that of the historic founding team," stated Patrick Drahi. CELESTE, a leading Internet service provider in France, is leveraging its nationwide deployment of the Coriant 7100 Packet Optical Transport Platform to expand the range of flexible and resilient optical interconnect services for its enterprise customers. The new CELESTE service offerings include guaranteed symmetrical bandwidth of 80 Gbps, with the ability to easily upgrade to 160 Gbps as B2B network access and interconnect requirements evolve. 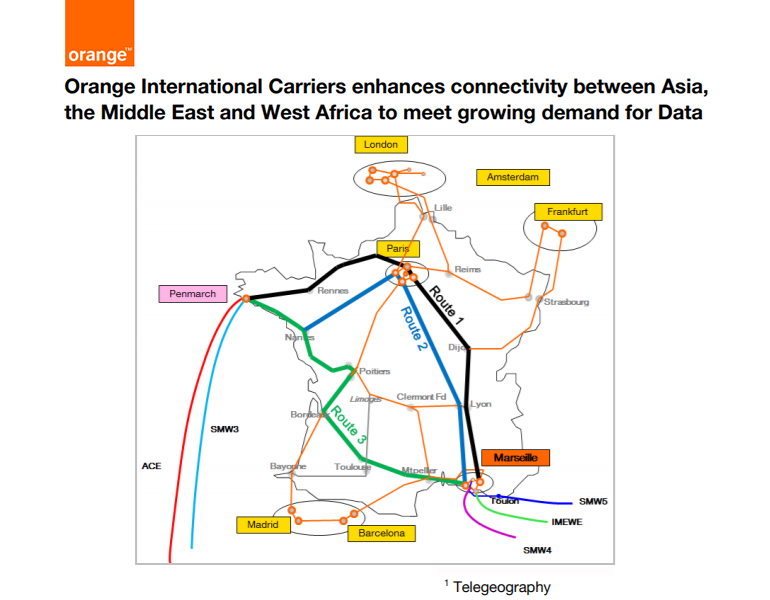 The CELESTE fiber optic infrastructure, which spans over 2,500 kilometers, connects major metropolitan markets throughout France and includes access to international peering points. 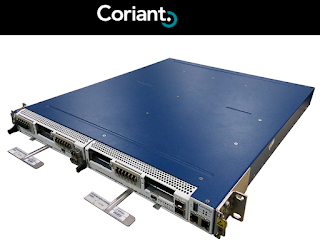 Coriant said its 7100 Nano and 7100 Pico Packet Optical Transport Platforms enable CELESTE to efficiently utilize its fiber optic infrastructure to support delivery of high-quality B2B services connecting geographically-distributed enterprise sites, users, and IT resources. Zayo will diversify its fibre infrastucture in the south of France and will offer three fully diverse network routes out of Marseille. Marseille serves as a strategic gateway and key aggregation point between Europe, Africa and Asia as well as connectivity for subsea cables AAE-1, SEA-ME-WE-5 and several others. 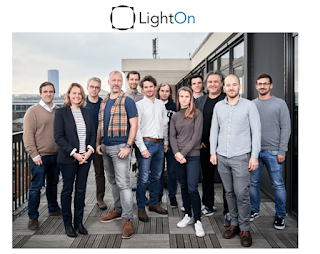 The first route, a low-latency route via Lyon that is fully operational and was announced last year, is available for both dark fiber and 100G wavelengths. 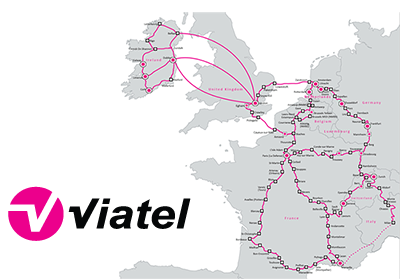 The second dark fiber route traverses western France via Bordeaux. The third route connects to Strasbourg via Milan and onto Paris, Frankfurt, London, Amsterdam and other European markets. Zayo is deploying a coherent 100G wavelength system over the existing fiber, which is expected to be fully completed by the end of the year. EXFO agreed to acquire Yenista Optics, a privately held company based in Lannion, France, that supplies advanced optical test equipment for the R&D and manufacturing markets. Financial terms were not disclosed and EXFO said the deal is subject to a number of conditions to be completed before closing. Yenista Optics' product portfolio includes benchtop optical spectrum analyzers, tunable lasers, tunable filters and passive optical component test systems for network equipment manufacturers and optical component vendors. The company generated revenue of €5.2 million in 2016 and was profitable. The company owns more than 20 patents protecting its proprietary technologies on measurement techniques, optical filters and external cavity lasers. EXFO said Yenista Optics is highly complementary to its own optical test portfolio, which largely consists of portable test equipment for the network service provider market. "Yenista Optics has built an impressive product portfolio over the years for the high-end laboratory and manufacturing markets," said Germain Lamonde, Executive Chairman of EXFO's Board of Directors. "This transaction, if completed, would allow EXFO to leverage Yenista's best-in-class technology across its global sales channels to expand market share." Bouygues Telecom reported sales of €2,434 million in the first half of 2017, 6% more than in the first half of 2016. Sales from network also rose 6% to €2,084 million and sales from network excluding incoming traffic rose 7% over the period. The increase in data usage resulting from the decline in voice and text usage is leading to a decrease in sales from network generated by incoming traffic. However, there is no impact on EBITDA, since this decline in sales is offset by reduced interconnection costs. EBITDA was up €139 million versus the first half of 2016 to €547 million. The EBITDA margin rose by 5.5 points year-on-year to 26.2%. Operating profit was €215 million higher at €210 million. It included non-current income of €48 million, mainly related to the capital gain on the sale of towers to Cellnex, which more than offset non-current charges related to the roll-out of network sharing. In the first half of 2017, gross capex stood at €585 million, in line with the 2017 full-year gross capex target of €1.2 billion. Bouygues Telecom added 645,000 mobile customers in the first half of 2017, resulting in a total base of 13.6 million customers at end-June 2017. There were over 10 million mobile plan customers excluding MtoM at end-June 2017, with 240,000 new adds in the first half of 2017, of which 110,000 in the second quarter. In the fixed market, Bouygues Telecom signed up 133,000 new customers in the first half of 2017, of which 45,000 in the second quarter. Bouygues Telecom confirms its target of 1 million additional fixed customers by end-2017 versus end-2014. The Miami FTTH offer accounted for close to two-thirds of net growth in the second quarter of 2017. As a result, Bouygues Telecom had 171,000 FTTH customers at end-June 2017, more than twice as many as at end-June 2016. Bouygues Telecom is continuing to roll out FTTH, with 16 million premises secured at end-June 2017, 7 million more than at end-2016, and 2.6 million premises marketed, 0.6 million more than at end-2016. Bouygues Telecom confirms its target of 12 million premises marketed in 2019 and 20 million in 2022. In all, Bouygues Telecom had 552,000 very-high-speed customers at end-June 2017. 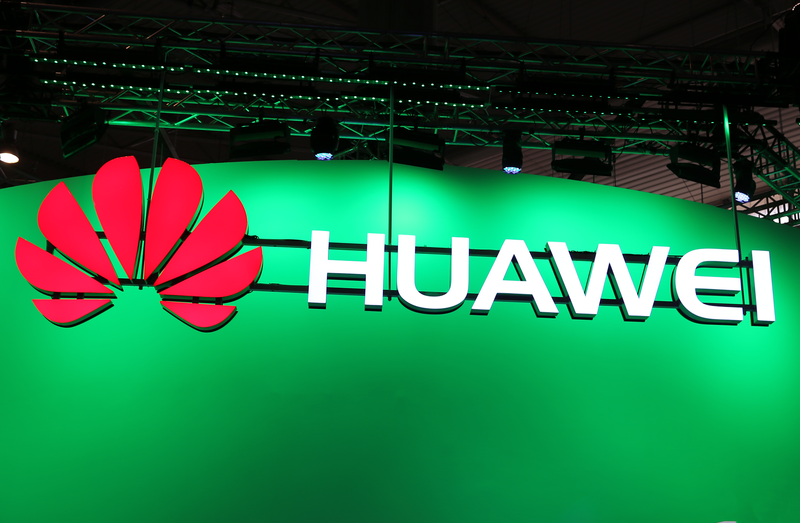 French telecom operator SFR and Huawei announced the completion of what is believed to be France's first pre-commercial field verification of 4 x 4 MIMO enabling a downlink throughput of 628.3 Mbit/s using a commercially available phone on SFR's 4.5G network. Following the field verification, SFR plans to increase its investment in LTE technology as part of its objective of rolling out the fastest LTE network in France and provide customers an enhanced LTE experience. 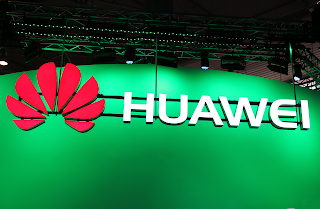 Huawei noted that SFR began construction of its LTE network in 2012, and subsequently the increasing adoption of mobile video and real-time gaming services has led to mobile data traffic increasing at an average annual growth rate of up to 100% over the past two years. To address this rising demand, SFR launched a new unlimited data package in April this year and plans to focus investment on deploying a 4.5G network. SFR is aiming to extend its 4.5G network coverage to 90% of its customers in France by the end of the year, and plans to increase this to 99% during 2018. Huawei noted that 4.5G technologies such as carrier aggregation (CA), MIMO and 256QAM can help increase network capacity, with MIMO, in particular enabling improved capacity and coverage, as well as an enhanced user experience, without the need for additional spectrum or base stations. During the recent tests with SFR that involved a commercial phone operating on the live 4.5G network, the partners verified that the use of 4 x 4 MIMO, combined with 2 CC carrier aggregation and 256QAM modulation, can deliver throughput of up to 628.3 Mbit/s. Huawei noted that this data rate can allow mobile users to play HD video reliably and meet customer demand for smooth video viewing services. Huawei stated that 4.5G Evolution technology enables operators to begin the introduction of 5G technologies into their existing 4G/LTE networks. This also allows operators to trial 5G-like services and develop new business models that 5G will be able to support in the future. Regarding the trial, Michel Paulin, chairman and CEO of SFR Group, commented, "SFR's 4.5G network has achieved an average downlink throughput of 300 Mbit/s in over French 221 cities… and it (aims to) further increase the average downlink throughput to 500 Mbit/s by 2018… and will actively promote sophisticated 4 x 4 MIMO smartphones to offer users the best LTE experience".